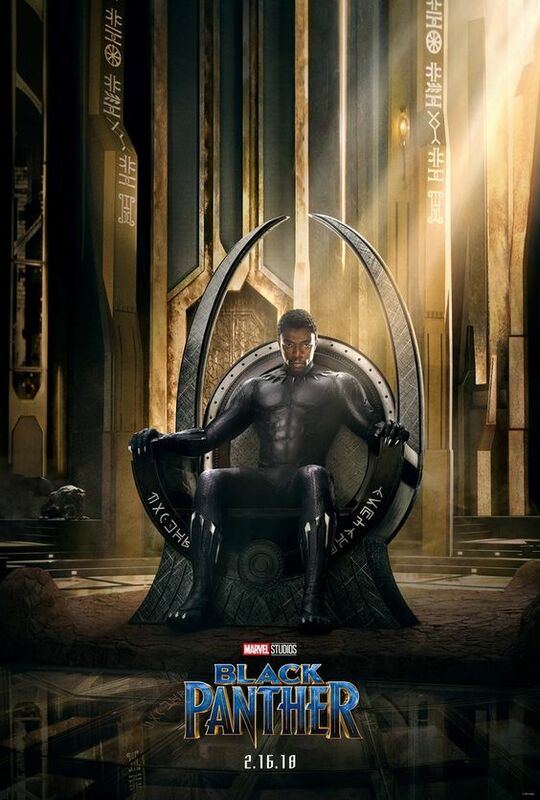 By sheer fluke, I happened to watch CAPTAIN AMERICA: CIVIL WAR just a few days before going to see THE BLACK PANTHER, so I’d already had an introduction to the character and how he becomes king. That only made this film even better, as a little background went a long way toward setting the scene. Not that it’s difficult to pick up an understanding of what’s going on, it just endowed it with more depth. Before going, I’d seen a couple of fairly negative reviews, citing huge plot holes covered up by relentless action. I freely admit, once the film started I was totally and utterly hooked, and if plot holes do exist, I really, really didn’t care. This film turns so much on its head – the very idea that a small African nation is hiding the most advanced civilisation on the planet is so revolutionary you almost feel like this story could be set on another planet. But it isn’t. Africa is depicted in glorious technicolour, with tribal affiliations and rituals at the heart of much of the action. The (nearly) all black cast is absolutely superb – great acting and many seriously beautiful (and hot) bodies are on display, many form-hugging outfits mixed with more traditional dress, all of it as colourful as the characters. The only white guys in the film are Bilbo and Gollum. No, seriously! Martin Freeman and Andy Serkis are the token whites, yet this is never a story about colour, it’s about the tricky nature of family relationships and loyalties. Oh and did I mention the women? No? Awesome! If you want strong women, this film is almost overrun with them, from the guard captain and her all female king’s guard, to the king’s mother, his sister (a young female version of James Bond’s ‘Q’), and his lady friend/love of his life who won’t give up her role as a clandestine rescuer of Africa’s stolen women for the comforts of becoming Wakanda’s next queen. Between them, they corner the market on lethal physique and fighting technique, brains, and compassion. You may be getting the impression that I enjoyed this movie. It’s less of a superhero movie than your regular Marvel offerings – although that aspect of it is still there, it doesn’t take over. There is a mythic quality to THE BLACK PANTHER, albeit dressed up in a highly futuristic manner. Even if you have become a little jaded by the relentless churning out of superhero movies, I would still highly recommend this one for its originalities and subversive concepts. A wildly-successful movie by Disney. Thank goodness I own their stock!